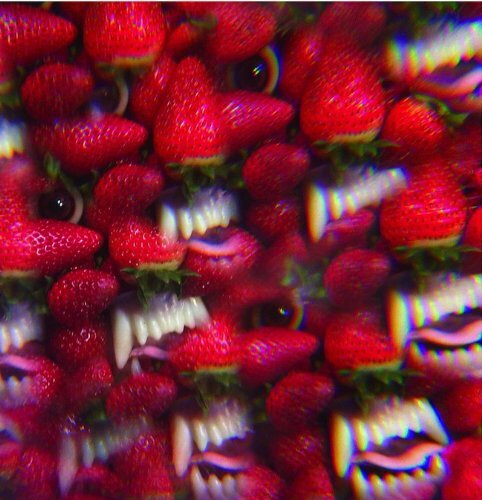 This is the 12th album from Thee Oh Sees as well as numerous EPs and singles. Originally a project by John Dwyer as an outlet for his experimental instrumental home-recordings, over a period of time it evolved into being a full band. On Castlemania, however, Dwyer has gone it alone again, undertaking the full performance himself, other than backing vocals here and there courtesy of Brigid Dawson and Heidi Alexander. 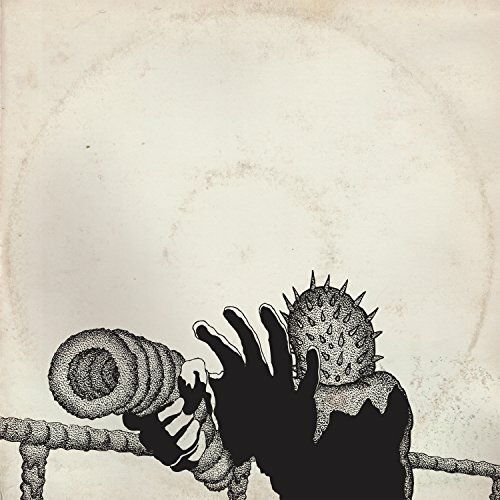 Thee Oh Sees generally have the kind of craziness to their music you'd find in Syd Barrett and Jennifer Gentle; fun and rough around the edges, shambolic and yet consistent. Coming from the ever-amusing and intriguing San Fransiscan garage rock scene (The Fresh & Onlys, Sic Alps, Ty Segall etc), there is generally a huge amount of influences and effort put into such projects, and apparently their live shows are "combustible". Castlemania is a bit like an album you'd expect to hear at an Adams Family themed party. It's melodious and retro, twisted pop music, crunchy mid-fi rock, meandering off into experimental wildernesses, rather than finishing tracks in a harmonious and expected manner. Psychedelic Cramps-style punk and Zappa freak outs, with an element of monotony, bulked out with whirrings and twirlings from trumpets, flutes and any additional instrument seemingly available. 'I Need Seed' and 'Corprophagist' start the 16-track album in an upbeat and crazy way, while 'Stinking Cloud' has a retro garage sound with flutes and strings fluttering in the background to just keep hold of that LSD-fuelled feel. Each song is led by Dwyer's slightly nasally voice, as though he was persistenly high and determined to freak the listener out. You're never quite sure whether the song has finished or not, random squeaks and noises pop up after the apparent end of the song, and as an album of simple thrown-together melodies, it's the little tweaks and additions that make this an exciting album to listen to. 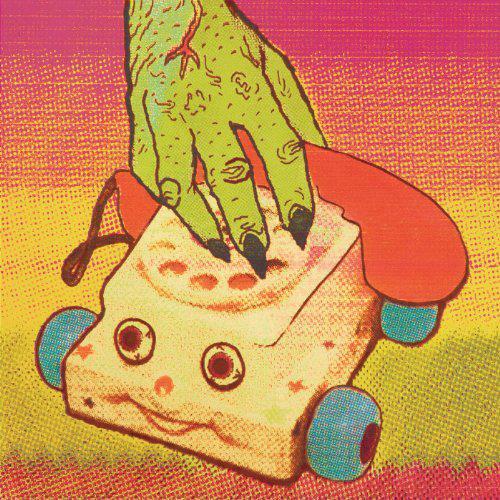 'Corrupted Coffin' is a blast of straightforward growling punk, jumping to random tangents of guitar squealing, yet a calmer nugget of 60s garage pop with glockenspiel and strumming guitar melodies comes in 'Pleasure Blimps'. 'AA Warm Breeze' has a nice bluesy feel with the addition of acoustic guitar and some harmonica, still with an atonal, distortion-filled vocal, and half way through delving into voices that you'd use to scare small children, mimicking a monster. Towards the end of the album things get somewhat more mellow, definitely more melodic, calmer and thoughtful, reflective of 60s folk rather than experimental meanderings. 'The Horse Was Lost' is melancholic drifting with dreamy mellotron sounds, in absolute contrast to the rest of the album. Maybe this was the come-down piece. Dwyer has left a full minute of silence before the next track starts, a cover of West Coast Pop Art Experimental Band's 'I Won't Hurt You'. This track is simple and repetitive yet beautiful with ghostly harmonies from the female backing singers, bass-heavy guitar sounds and delicate thumping drums. Again, oddness, but unique and impressive in a very intriguing way. Every song has something unique about it; bells and tambourines on 'If I Stay Too Long'; the seemingly 'fed-up-of-everything' droney 'Spider Cider'; the high-pitched wailing intro to the title track 'Castlemania'. The basics are consistent and solid, with a jumbled mess of instruments and feedback, typically rough home-done production and Dwyer's falsetto voice, discordantly sprinkled with 60s folk and experimental psychedelic spillings - definitely something to get your head around with more than one listen. "This here is the last record worked on at 608c Haight Street in San Francisco (very near and dear to my heart and heavy in my memories) before control was assumed by rich assholes," he writes in the liner notes. This was his band's home for a while, and it seems every memory, dream and nightmare has been acted out and directly transferred into Castlemania.